This is a nice pair of vases that show mirrored images on each hand painted vase. Each ship is beautifully detailed and the background shows a rising run. 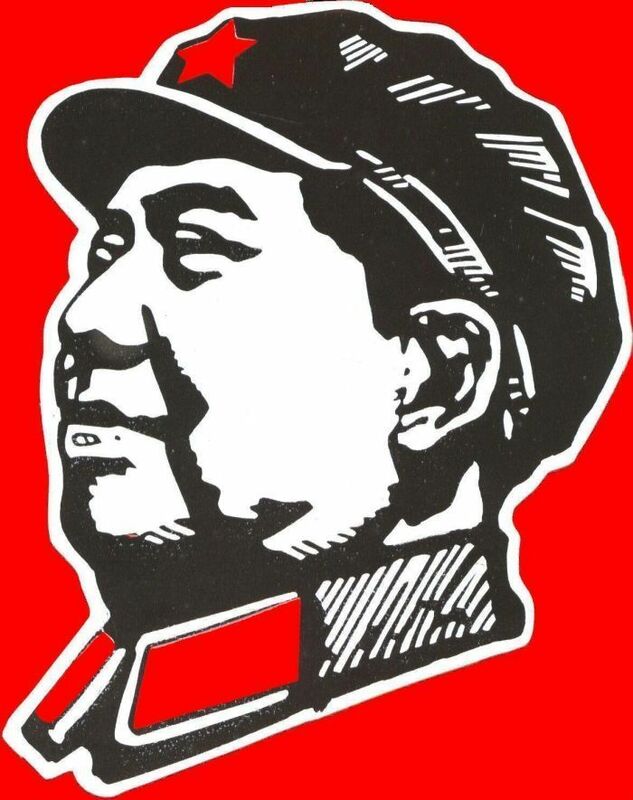 The rising sun represents Chairman Mao and the ship is clear reference to the phrase above, 'Sailing the Sea Depends on a Helmsman; Leading a Revolution Depends on Mao Tse-Tung Thought'. 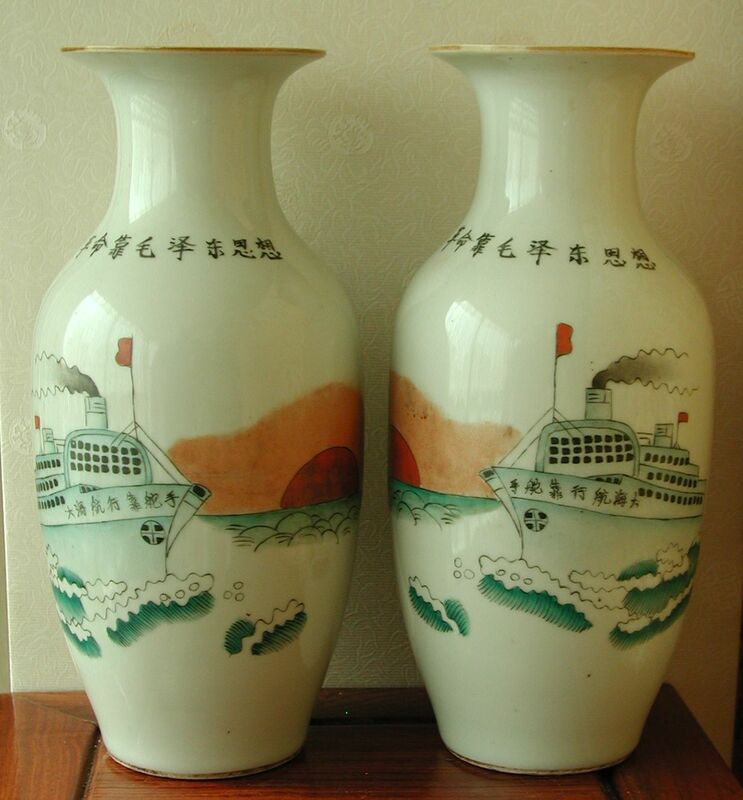 The reverse of each vase is hand painted, 'Ride the Waves and Cleave the Waves'. 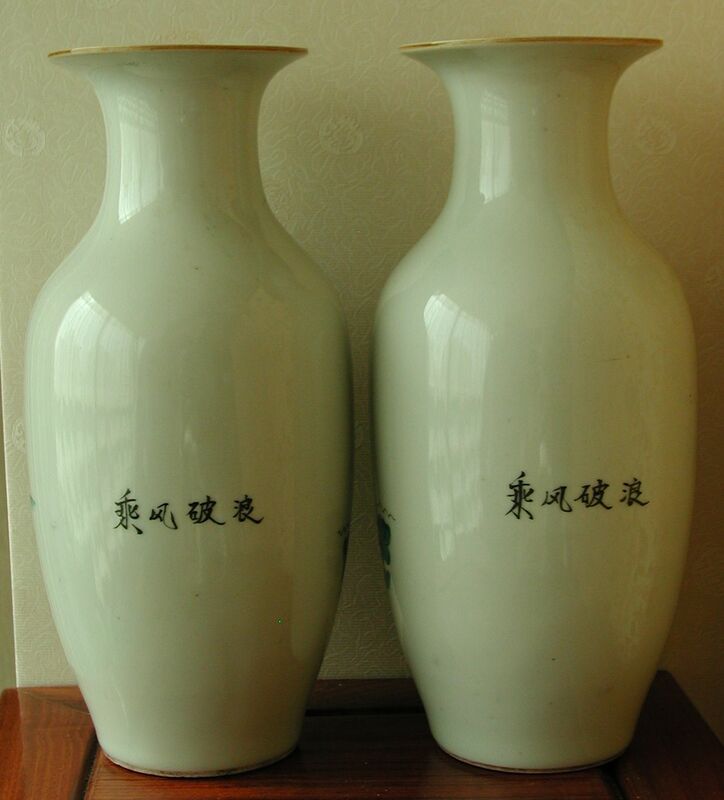 Each vase is 25.5cm (10 inches) high and 9.5cm (3.75 inches) in diameter. The undersides are not marked, however we guarantee that these are vintage.